The Pakistan narrative from many Indian governments has been quite subdued, an effect of the ‘Cold Start’ military doctrine, which focuses on military buildup to spark economic instability in the rival nation, along with a focus on international and diplomatic levers to maintain pressure. India continues to adhere to this doctrine, yet under PM Modi’s guidance, there is an increased focus on optics with India waging a public relations battle on the diplomatic stage. The status quo remains the same between the two nations, but the Modi Government has taken a more aggressive political stance. Modi has suspended talks over Pakistan officials meeting Jammu and Kashmir separatists, set the agenda for bilateral engagements namely removing Kashmir from the joint-statement at the Ufa summit, repeatedly raised the threat of terror from Pakistan on the international stage and most recently, highlighted atrocities of the Pakistan army in Pakistan Occupied Kashmir and Balochistan via the forum of his Independence Day speech. Enforcing ‘red lines’ comes in conjunction with a highly emotive and globally recognised image of Pakistan as under siege and even controlled by terrorists and fanatics. It is a perception bolstered by news and images of multiple terror attacks, thousands attending rallies organised by extremists and the killings of secular activists and media personalities. It is an image that popular culture has latched on to, showcasing it in movies, TV shows and video games, feeding on the ‘civil war’ in the nation to sustain the terror narrative in the West. *** Why Russia Supports Syria? In the early 20th century, many Arab countries like Syria obtained their independence from western colonial powers. They began to assert themselves by the Arab nationals’ movements. This led to a number of Middle Eastern countries signing with the similarly anti-western USSR during the Cold War. In turn the Soviet Union provided some financial and military support. 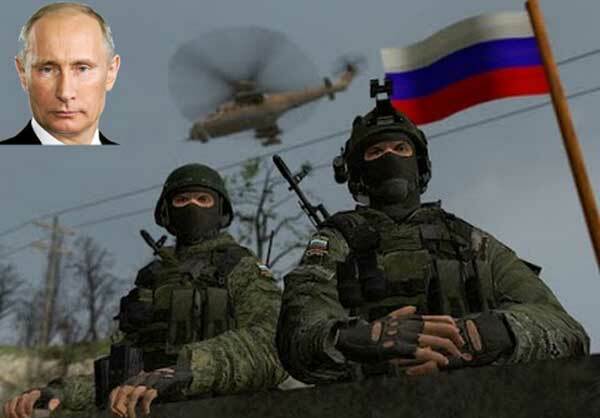 With Russian air support, Syrian forces retook 3,860 square miles of territory and 400 population centers. Additionally, the creation of Israel in 1948 was resented by many Arab countries, including Syria, Egypt and Iraq. Between 1955 and 1960, the Soviets gave Syrians over $200 million dollars in military aid in exchange for greater Soviet influence and increased foreign trade. In 1971, they were allowed to use a Syria port – “Tartus” for their own ships patrolling the Mediterranean Sea. That same year, the Assad family seized control of Syria. The new leader Hafez Al-Assad installed the hereditary authoritarian regime using the Soviet model for single party police state. Since then Syria has been riddled with economic, social and human rights problems. STOCKHOLM — With a vigorous national debate underway on whetherSweden should enter a military partnership with NATO, officials in Stockholm suddenly encountered an unsettling problem: a flood of distorted and outright false information on social media, confusing public perceptions of the issue. Earlier this summer on the other side of the Atlantic, Russia embarked on a different kind of information warfare: Interference in a U.S. presidential election. In July, evidence emerged that Russia hacked the servers of the Democratic National Committees, turning over roughly 20,000 e-mails to Wikileaks, which promptly published the materials online. One likely motivation for the hack, assuming that it was indeed a state-sponsored intrusion by Russia (whichseems likely), was to undermine Hillary Clinton’s presidential campaign by embarrassing top Democratic officials and furthering the image that Clinton — and the political apparatus supporting her — are corrupt and untrustworthy. Thetiming of the hack lends credence to this sort of motivation. Russia’s attempts at information warfare, especially the efforts to influence the presidential election, are certainlycause for concern. But it is important that we take a step back and ask whether the conditions rendering this kind of operation desirable and feasible are something we can expect from Russia in the future or if this is something closer to an aberration. My money’s on the latter. The importance of grand strategy should be evident today as the United States finds itself at a transition point. In a world of rising powers, revisionary but systemically declining states, rogues with nukes, and violent extremists withproto-state status, the need for clear direction is manifest. If there was ever an age in which a disciplined appreciation of threats, clearly prioritized goals, and the corresponding recalibration of the various instruments of national power were required, this is it. To Milevski, our ideas about grand strategy are “scattershot” and ahistorical. Ironically, I am partial to the definition postulated by Dr. Colin Gray, who defined it in The Strategy Bridge as “the direction and use made of any or all the assets of a security community, including its military instrument, for the purposes of policy as decided by politics.” This definition is not limited to states per se, is mute on its relevance to peacetime competition or wartime, and explicitly refers to all of the power assets of a community, rather than just its military services. India is consistently ranked among the countries with the highest kidnapping risk, a lesson Ishaan Bapat learned firsthand. On his way home from his private university in Bangalore on Aug. 23, the 19-year-old was grabbed by two men and bundled into a car while waiting for a bus at a cafe. Bapat usually made the 19-kilometers (12-mile) commute by motorbike, but because his bike was in the shop, he took a bus and decided to grab a bite to eat during a transfer. Within a few hours of abducting him, Bapat's kidnappers used his phone to contact his parents. Despite the assailants' warnings, Bapat's parents opted to call the police, who responded quickly and comprehensively, dispatching 30 officers across the city to look for him. By 9 the next morning, Bapat's kidnappers had dropped him off about 8 kilometers from his residence in central Bangalore, leaving him to catch a cab home. Though it ended better than most, Bapat's story is all too familiar in India, which has a reported kidnapping rate of 6.6 per 100,000 people (a figure that could well be higher since kidnappings often go unreported). But his case provides a useful study in kidnapping - and how to avoid it. In a kidnapping, a victim's socio-economic privilege can be a double-edged sword. Bapat is a student at a private college that charges an annual tuition well above the yearly income of an average Indian family. His father is an executive at an electronics firm in the area with reported revenues of $80 million in 2015. Though these factors likely influenced the robust police response to Bapat's kidnapping, they may also have made him more susceptible to attack in the first place. Police have not yet determined the intent behind the kidnapping, but they suspect that the crime was financially motivated. Given the status of Bapat's father, investigators are exploring personal or business rivalries as possible motives as well. These kinds of kidnappings are fairly common in India and often ensnare targets' family members. The sooner you accept your fate, the faster you and your family adjust and plan for a new future. The choice to become a career Army officer is more than just choosing a job. It’s a transition into a life unique and separate from the civilian world. The Army becomes our community, our culture, and our family. The word “officer” stops being a thing that you do, and becomes a thing that you are. You literally dedicate your life to the Army. Now, imagine that despite the dedication, when the time comes, you are not selected for promotion. If you are a captain or major, this means that you are on a track out of the military. For most people, this also means that you won’t be able to complete the 20 years of service necessary to qualify for a standard retirement. You soon realize that by falling short on the promotion board, you lose more than just your military career: Your long-term plans for yourselves and your family unravel, and even your way of life will be taken from you. This is the situation that I saw friends stumble through over the last two years, and it’s the situation that I was shocked to find myself in when this year’s results were released. When my board results were released, I was surprised. The Kübler-Ross model of dealing with loss says that people go through five stages of grieving: denial, anger, bargaining, depression and acceptance. Framing the experience this way can help you understand — as it helped me — the experience of getting passed over for promotion, and provide a way to switch onto a more useful track for yourself and your family. India is extremely fortunate to have a Prime Minister who is leaving no stone unturned to activate our Act East policy. Prime Minister Narendra Modi will visit Vietnam on September 3, 2016. From there he will proceed to attend the G 20 summit in Hangzhou, China followed by the East Asian Summit at Vientiane, Laos; a long official trip which would involve tremendous discussions on numerous issues. The Vietnamese Ambassador to India, Ton Sinh Thanh, welcomed the decision and it is expected that the visit will open a new page in the bilateral relationship between two intense strategic partners. It is pertinent to note that Vietnam has been visited by our President, Foreign Minister and Defence Minister. Significantly, the visit will be first by an Indian Prime Minister in the last 15 years. The Vietnamese Ambassador has stated that both countries are gearing up to celebrate milestones in the form of 45th anniversary of diplomatic relations and 10 years of establishment of the strategic partnership. Though the visit is short it would be packed with discussions on the economic, cultural and security issues. The economic issues likely to be discussed would be: oil fields in the South China Sea; commencement of the work at Soc Tranh thermal power plant; imaging projects in outer space and other industrial projects. The major focus would be on the recent ruling by the Permanent Court of Arbitration (PCA) on the South China Sea. Knowing the close relations between the two countries – Vietnam and China, this issue would be discussed between the top leaders of both countries. The PCA rejected China’s contention that the dispute is regarding Maritime Boundary delimitation and therefore excluded from Dispute settlement by Article 298 of the UNCLOS Convention. It observed that a dispute concerning whether a State has an entitlement to a maritime zone is a distinct matter and there is no confusion. The PCA also rejected the Chinese argument that as per 2002 ASEAN – China declaration on the conduct of parties in the South China Sea, Philippines was not correct in initiating arbitration. The Tribunal observed that it was a political agreement and not legally binding. The Rural Electrification Corporation is planning to install equipment that will transmit usage data from metres at each of the country’s 100,000 rural feeder stations,which will identify spots where power theft is rampant. The biggest problem for discoms in India, arguably, is what are called Aggregated Technical and Commercial losses (AT&C). As Aashish Chandorkar says in this piece, “transmitted power is lost partly due to technical reasons over the power networks, but mostly because of thefts and people using illegal, unpaid-for hooks to divert available power to their homes and establishments.” Some states lose as much as 50 percent of power transmitted to AT&C losses. This Mint report claimsthat in India, ‘regional distributors lose almost 23% of the electricity they buy through theft, unmetered usage and dissipation through old wires’. How can discoms decrease or prevent AT&C losses? If discoms knew just where the AT&C losses are occurring (and also where the losses are likely to happen in future) it would help them take preventive measures in anticipation. The 24th Round of Bhutan – China Boundary Talks was held in Beijing on 11th August 2016. The report of the Joint Technical Field Survey in the Western Sector adjoining the strategic Chumbi Valley was endorsed in the meeting. This denotes steady progress in resolution of the differences by both sides. Historically China has boundary disputes with 14 neighbours with whom it shares the land border. Of these disputes 12 have been mutually settled. India and Bhutan are the only two neighbours with whom negotiations are ongoing for resolution of the dispute. Both countries agreed to the Special Representatives mechanism appointed in 2003 which set off a three-stage process. The first stage of an agreement on the guiding principles and setting political parameters for settlement has been completed in 2005. Dialogue is on for the second stage to work out a framework for settlement which is likely to be long drawn as there is a basic difference on which portion of the boundary constitutes the dispute. Thereafter joint surveys, demarcation and delineation will be carried out. Boundary talks between China and Bhutan are more advanced than that with India. The talks between Bhutan and China began in 1984. The basis for boundary negotiations between the two countries are two treaties: the Four guiding principles on the settlement of the boundary issues, signed in 1988, and the agreement on maintenance of peace and tranquillity along the border areas, signed in 1998. 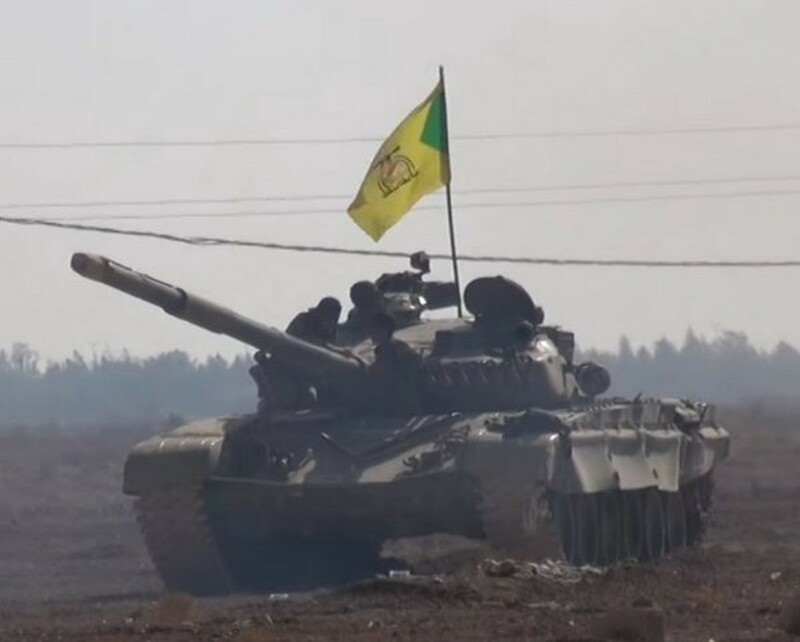 This ex-SAA T-72 was photographed while being operated by the Kataib Hezbollah in the Aleppo area in November 2015. The general impression is that the Syrian Arab Army remains the largest military force involved in the Syrian Civil War, and that — together with the so-called National Defense Forces — it remains the dominant military service under the control of government of Pres. Bashar Al Assad. The devil is in the details, as some say. Indeed, a closer examination of facts on the ground reveals an entirely different picture. The SAA and NDF are nearly extinct. Because of draft-avoidance and defections — and because Al Assad’s regime was skeptical of the loyalty of the majority of its military units — the SAA never managed to fully mobilize. Not one of around 20 divisions it used to have has ever managed to deploy more than one-third of its nominal strength on the battlefield. The resulting 20 brigade-size task forces — each between 2,000- and 4,000-strong — were then further hit by several waves of mass defections, but also extensive losses caused by the incompetence of their commanders. BEIRUT, Lebanon — The rebel fighter, a former major in the Syrian Army, thought he had finally found what he was looking for: a group with strong international backing that was gearing up for an offensive against his two most hated enemies, the Syrian government and the Islamic State militant group. But within days of crossing into Syria, backed by Turkish planes, tanks and special forces troops and American warplanes, the fighter, Saadeddine Somaa, found himself fighting Kurdish militias that, like him, counted the Islamic State and the government of PresidentBashar al-Assad among their foes. That was because the Turks, who supplied the weapons and the cash, were calling the shots, and they considered the Kurds enemy No. 1. The Kurds, for their part, considerTurkey an enemy, and so as the Turkish-led troops advanced, the Kurdish militias attacked. For all the hope the new offensive had inspired in Mr. Somaa and other Syrian insurgents, it showed once again how even rebels fighting against the Islamic State and Mr. Assad — both targets for defeat under stated American policy — remain dependent on backers who only partly share their goals. It seems obvious: Killing terrorist leaders should weaken their organizations, depriving those groups of strategic direction and ideological appeal. The death of someone like Abu Muhammad al-Adnani, a senior Islamic State figure reported killed on Tuesday in Syria, should seem like a significant setback for the group. But scholars have struggled to find evidence that killing leaders is an effective way to dismantle terrorist organizations, instead finding ample evidence that it makes little difference. That research seems to apply especially to the Islamic State, also known as ISIS or ISIL, whose attributes make it resilient to losing even a top figure like Mr. Adnani. Two features make a terrorist group able to withstand a senior officer’s death, according to research by Jenna Jordan, a Georgia Tech professor and a leading expert on the subject. The first is popular support. Groups need a steady stream of recruits and a pool of potential new leaders. Support among civilians in areas in which the groups primarily operate also makes them more stable, by broadening support networks and helping them to safely retrench when needed. Leaders are usually killed in or near communities that support them, resulting in those communities rallying behind the terrorist group and against whoever did the killing. The U.S. government says it is trying to repatriate the bodies of three American civilians killed while fighting ISIS in Syria. According to one local Kurdish report, the men were killed over the weekend and identified as Levi Shirley, William Savage, and Jordan MacTaggart. The Washington Post reported Shirley’s death in July, while Denver 7 reported MacTaggart’s earlier this month. Kurdish fighters mourning the men carried signs with the purported photos. The Americans, whom officials have yet to positively identify, were near the northern Syrian city of Manbij, home to a key ISIS supply route to Turkey, helping the Kurds wrest the city out of the terror group’s hands when they killed. Earlier this month, Manbij fell out of ISIS control, a major loss for the extremists. “We have been working to help facilitate the return of the reported remains of private U.S. citizens killed in Syria. We remain in close contact with local authorities and stand ready to provide all appropriate consular assistance. We have no additional information to offer at this time,” John Kirby, U.S. State Department spokesman, said in a statement to The Daily Beast. The bodies are in Irbil and U.S. officials are seeking to identify and transport them to the United States. BEIRUT/WASHINGTON (Reuters) - Islamic State said on Tuesday one of its most prominent and longest-serving leaders was killed in what appeared to be an American air strike in Syria, depriving the militant group of the man in charge of directing attacks overseas. A U.S. defense official told Reuters the United States targeted Abu Muhammad al-Adnani in a Tuesday strike on a vehicle traveling in the Syrian town of al-Bab. The official stopped short of confirming Adnani’s death, however. Such U.S. assessments often take days and often lag behind official announcements by militant groups. Adnani was one of the last living senior members, along with self-appointed caliph Abu Bakr al-Baghdadi, who founded the group and stunned the Middle East by seizing huge tracts of Iraq and Syria in 2014. As Islamic State’s spokesman, Adnani was its most visible member. As head of external operations, he was in charge of attacks overseas, including Europe, that have become an increasingly important tactic for the group as its core Iraqi and Syrian territory has been eroded by military losses. The group reacted by saying his death would not harm it, and his killers would face “torment”, a statement in the group’s al-Naba newspaper said, according to the Site Intelligence monitoring group. Germany’s military counter-intelligence agency is investigating 64 suspected “extremist Islamists” working for the armed forces, a spokesman for the Defence Ministry said on Wednesday. The 64 could include civilian as well as uniformed employees, the spokesman added. People judged to be “extremist Islamists” are not permitted to work for the military. Between 2007 and 2016, 30 “extremist Islamists” went to Syria or Iraq after being employed in the armed forces, the spokesman said. Nineteen people were discharged from the forces for being “extremist Islamists” during that period. Germans have been unsettled by a series of violent attacks on civilians, two of which were claimed by Islamic State. The agency is currently only allowed to run checks on people who already work in the armed forces. The cabinet on Wednesday approved proposals to change the law to permit such checks to be made on applicants to join. On Sunday Welt am Sonntag newspaper said a draft document justifying the changes said there were indications Islamists were trying to get into the military for training. The armed forces employ 250,000 people. There has been considerable discussion in Japan on what many Japanese analysts consider a likely change in US policy on its nuclear deterrence posture. Many Japanese experts who have been watching President Obama’s nuclear policy believe that in the closing months of his tenure, Obama may launch measures to push his agenda articulated in his Prague speech 2009. There is considerable concern that Obama might even come out with a new declaration whereby the US would pledge not to use nuclear weapons first unless an adversary threatened to use them against the US. Many even believe that the Obama administration might like to consider it as one of his lasting legacies. But such a decision would mark a major departure from the decades old US policy. Even during the cold war years, when other nuclear powers pledged not to use nuclear weapons, the US alone refused to make such a declaration. The end of the cold war notwithstanding, the US continued to cling on to its posture even though many analysts argued that there was no need for the US to do so. President Obama did not include it in his 2009 Prague speech even though there was strong expectation to that effect. In 2010 the Nuclear Posture Review ( NPR ) indicated clearly Obama’s vision on the future role of the nuclear weapons. To be sure, it carried no specific reference to “no first use” of nuclear weapons. But it stated several things that were intended to reduce the salience of the nuclear weapons. It placed greater importance on the prevention of nuclear terrorism and proliferation; it stressed the need to reduce the role of nuclear weapons in national security strategy; it underlined the need to maintain strategic deterrence and stability; it also emphasised the need to strengthen regional deterrence to reassure US allies and partners and it further recognised the importance of sustaining a safe, secure and effective nuclear arsenal. The NPR indicated changes to the prevailing U.S. nuclear policy. It noted that the US would not use nuclear weapons against non-nuclear weapons states that are party to the NPT and in compliance with non-proliferation obligations. It spelt out clearly the fundamental role of the nuclear weapons to deter nuclear attack on the US, its allies and partners. It categorically assured that the US nuclear posture will play a vital role in regional security architecture and that proliferating states must understand that any attack on the US or its allies or partners would be defeated. In a TV speech, Morocco’s king appeals to the millions of Moroccans living in the West to counter the false arguments of Islamic State that might appeal to disaffected young Muslims and lead them to violent acts. The primary threat to the United States, says FBI director James Comey, is the effort of Islamic State to inspire people via the internet to engage in acts of violence inside the US. European officials worry even more about such terrorist acts. Reaching potential IS recruits, however, has been difficult on both continents. Now one Arab leader has offered some help with a novel outreach to those from his country, and their children, living in the West. The monarch of the North African nation was not speaking to a small crowd. Some five million Moroccans or their direct descendants live abroad, mostly in Europe. Many have been responsible for recent acts of violence in France and Belgium, either inspired or directed by IS. In addition, an estimated 1,500 Moroccans have joined IS to fight in Syria or Iraq. Solar panels provide cost-effective and environmentally friendly form of energy production. The talks on possible cooperation in Syria between the United States and Russia seem to be never-ending, and they are still to produce significant results. The fragile ceasefire of spring 2016 was not a product of direct U.S.-Russian common action; rather, it came about after each Washington and Moscow each used their leverage to force participants of the Syrian civil war to adhere to the ceasefire. Now, the question stands whether both powers can act in concert to address the terrorism threat. Chances for such development are higher than one could suppose while analyzing the general state of U.S.–Russian relations. To understand this, it is necessary to assess the strategic frameworks for Washington’s and Moscow’s policies in the region. A recent Washington Postinvestigation on what went wrong with the U.S. policy towards Iraq after the withdrawal of its troops is a must-read for anybody trying to prepare such an assessment for American actions. On the face of it, the investigation is more concerned with Hillary Clinton’s candidacy and her legacy as a Secretary of State. However, it is impossible not to notice that America’s problems in Iraq can be traced back to general shortcomings of both American foreign-policy decisionmaking and its strategy toward the Middle East or, rather, the lack of the latter. On the level of foreign-policy decisionmaking, the Washington Post wrote about the difficulties in dealing with the consequences of pulling the American troops out of Iraq and the lack of cooperation between the executive branch and the Congress. The article provokes even more important thoughts about America’s policy towards the region. First, it points out the obvious: the American attempts of state-building in the region result only in a waste of resources and, very likely, a deterioration of the security situation. Second, any moves in the Middle East should be based on a long-term strategy considering the region as a whole. With no understanding of how the destinies of Middle Eastern countries are intertwined, Band-Aid “solutions” are a direct route to trouble. Is Obama’s Syrian Chemical-Weapons Legacy So Bad? President Barack Obama would like nothing more than to cruise the next five months into retirement after eight grey-hair-inducing years. The world, of course, would keep on going and new crises would inevitably put up during those five months, but one could argue that Obama deserves at least a little downtime; Congress took seven weeks off, so why can’t he play a few more rounds of golf with his buddies? As all 133 teams that make up the Cyber Mission Force under U.S. Cyber Command is beginning to reach initial operational capability and continue into both defensive and offensive operations around the globe, America’s cyber warriors need cyber tools to conduct their missions. However, unlike the tools used by members of the intelligence community, which seek to operate without being detected, the Defense Department is interested in “louder” tools. 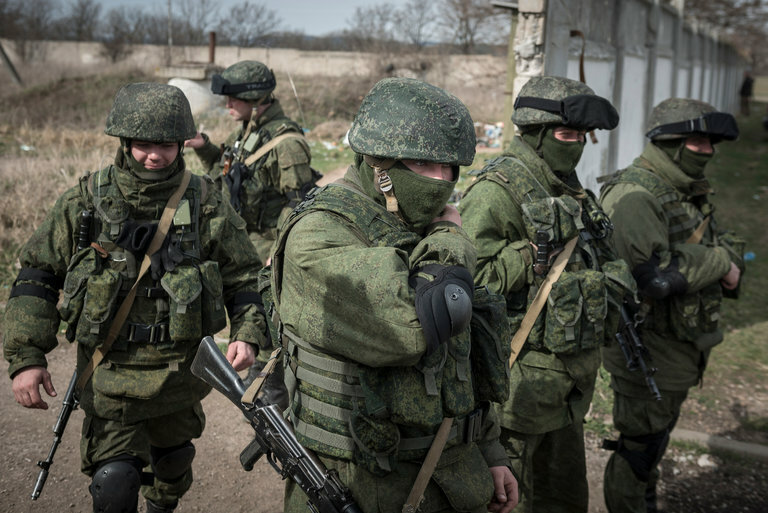 The battle for eastern Ukraine shows how the pace of innovation in electronic warfare is picking up. On Wednesday, Army Secretary Eric Fanning announced a new Rapid Capabilities Office to accelerate the development of cyber, electronic warfare, and position-and-timing gear. Read that to mean: outfitting troops to stand up to the IT and EW prowess of adversaries like Russia, according to one expert who spoke toDefense One. That rapid technological progression is on full display, for example, in eastern Ukraine, where Ukrainian soldiers have been battling Russian-backed forces since 2014. For example, Russian-backed separatists have used EW and GPS-spoofing to jam and misdirect the drones that Ukrainian troops use to scope out enemy positions. “Over the past several years we’ve learned from what we’ve seen from Russia and Ukraine, and later in Syria, and from the different capabilities they’ve brought to the battlefield. We’ve seen the combination of unmanned aerial systems and offensive cyber and advanced electronic warfare capabilities and how they provided Russian forces a new degree of sophistication,” said Fanning. The Center for a New American Security (CNAS) has released a new report recommending the U.S. military focus greater attention, both within the acquisition process and during training and tactics development, on digital resiliency. The report is authored by Jacquelyn Schneider, an adjunct research associate with the CNAS Military, Veterans, and Society Program, and Ph.D. candidate in political science at The George Washington University. Over the last 20 years, digital technologies have revolutionized modern warfare. From network-centric warfare of the 1990s to Donald Rumsfeld’s transformation to today’s Third Offset, digital technologies have become the linchpin of U.S. weapons, tactics, and strategy. Soldiers on the battlefield coordinate air strikes using digital datalink and a tablet. Headquarters commanders, once reliant on radios to receive battle updates, watch digital feeds of streaming videos on common operating pictures populated by terabytes of near real time digital data. Cruise missiles and bombs receive satellite relays of digital navigation and targeting updates to destroy enemy targets day and night, in rain and snow, in foliage-covered jungles and dense urban centers. Digital data and the networks that store, process, and disseminate that data have made the U.S. military extraordinarily capable. But these digital capabilities have also made the U.S. military extraordinarily vulnerable. A 2013 Defense Science Board Report warned, “the cyber threat is serious ... with present capabilities and technology it is not possible to defend with confidence against the most sophisticated cyber attacks.” The FY 2014 Annual Report from the DoD’s Operational Test and Evaluation Director concluded, “the continued development of advanced cyber intrusion techniques makes it likely that determined cyber adversaries can acquire a foothold in most DoD networks, and could be in a position to degrade important DoD missions when and if they chose to.” Meanwhile, reports have surfaced of vulnerabilities within the defense industrial base3 and next-generation weapons systems.